My nit-picky, kaypoh relatives from abroad tend to visit Singapore during the first quarter of the year. And of course, I am always given the stressful task of finding a restaurant that will leave them in awe, while keeping to a tight budget. This is why you can imagine my joy when I found out that Maybank Cardmembers are rewarded with 1-for-1 dishes at Resorts World Sentosa from now until 31 March 2018! 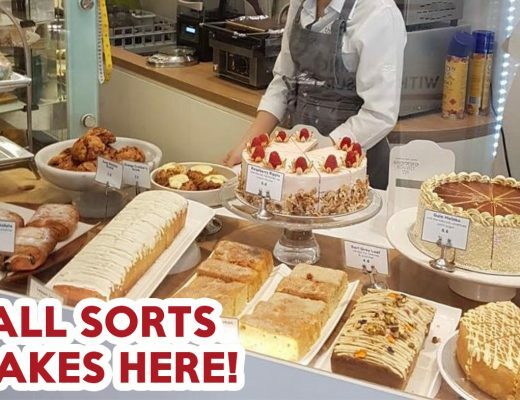 Not only is the food served at the restaurants incredibly delicious, they are now made more affordable! 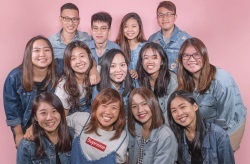 If you don’t believe me, check out these 10 1-for-1 mains we had the pleasure of dining at Fratelli – Pizzeria, Feng Shui Inn, Forest森, and Sessions. 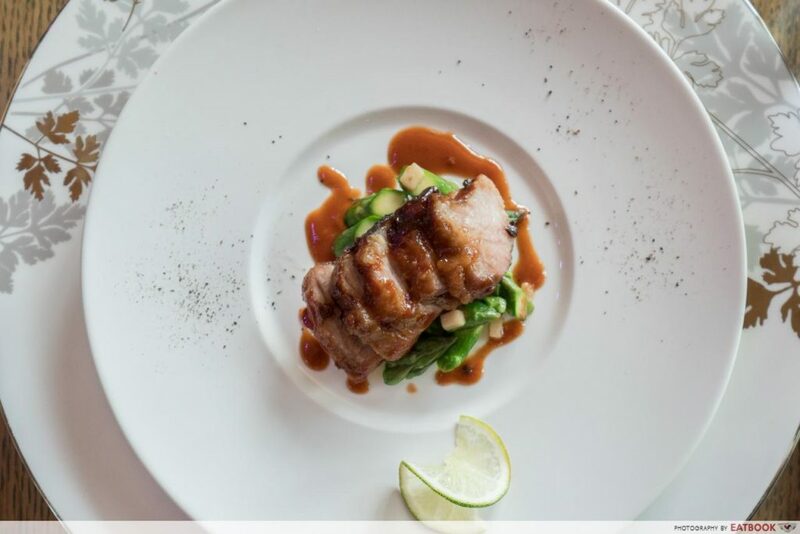 Helmed by Michelin-starred chefs Enrico and Roberto Cerea, Fratelli, which means “brothers” in Italian, is a chic space that’s great for both business meetings and a romantic date. Be mesmerised by the olive green interior the moment you step in. Giving it an inviting ambience is the overhanging blooms and accommodating waitstaff. 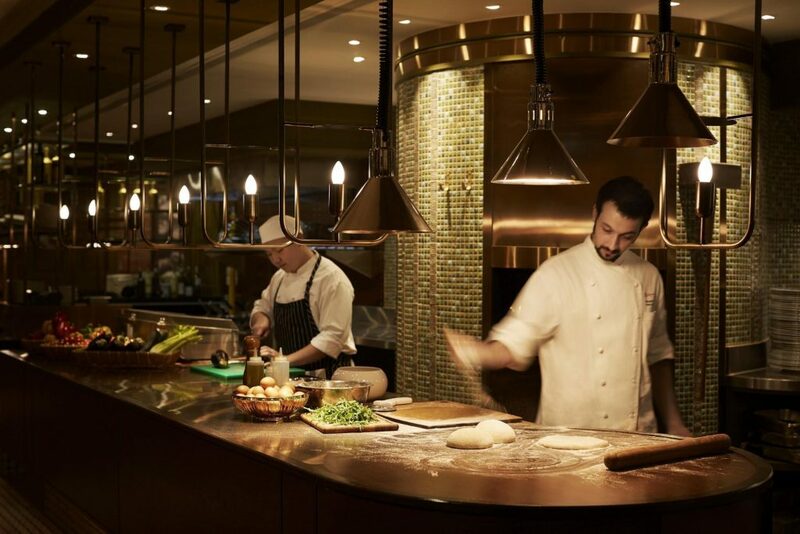 The restaurant also comes complete with open kitchen counters, where you can catch the talented chefs whip up a storm. I don’t usually place my dishes in order of ranking, but Fratelli’s Gnocchetti alla Piemontese (S$28++) seriously deserves top spot. 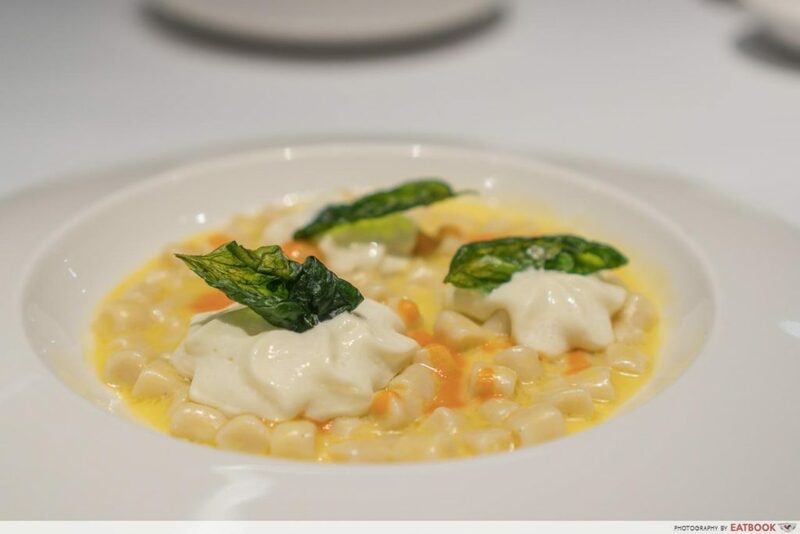 The house-made potatoes gnocchetti, which is a smaller version of gnocchi, is doused in a luxurious garlic butter emulsion and topped with a parmigiano reggiano cheese espuma. The result is a heavenly cheese sauce that’s light yet decadent. Dehydrated basil leaves are also added to give the dish an added zing. It’s easy to see why their Sapori di Bosco (S$34++) is such a crowd-pleaser. Prepared in a wood-fired oven, the pizza will delight your palate with its earthy, yet pleasantly savoury, flavour combination. Slathered in garlic cream and then topped with buffalo mozzarella, scamorza cheese, Italian pancetta ham, porcini mushrooms, pine nuts and large truffle shavings, this thin-crust pizza is a treat for the senses. 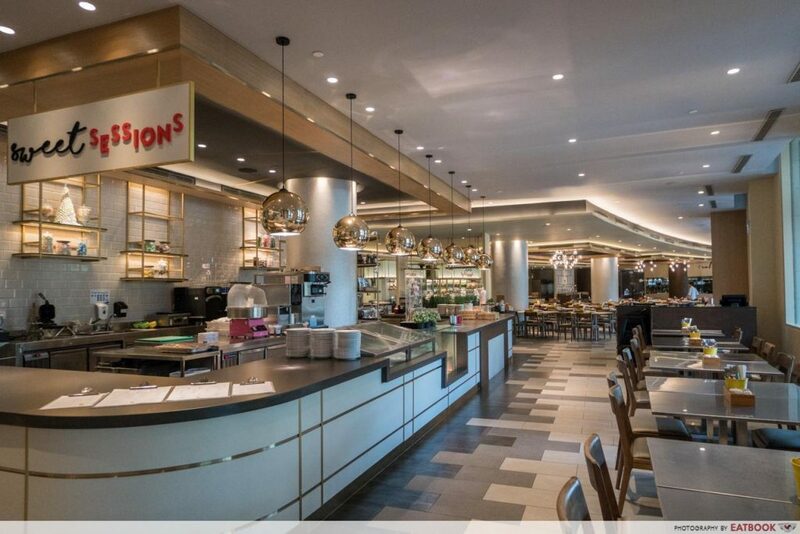 Located in Hard Rock Hotel and facing the hotel’s glistening swimming pool is Sessions. The spacious restaurant has three concepts: Sweet Sessions, Crab Sessions, and Cooking Sessions. The first features a café-like setting showcasing toothsome sweets and desserts by Chef Kenny Kong. Cooking Sessions is a cooking studio that’s popular with companies throwing cohesions, as well as for children’s birthday parties. Crab Sessions is popular among seafood fans, thanks to its tantalising crab dishes. Do note that Maybank’s 1-for-1 offer is only valid every Monday to Thursday as well as Sunday nights, when the restaurant does à la carte dishes and not a buffet spread. 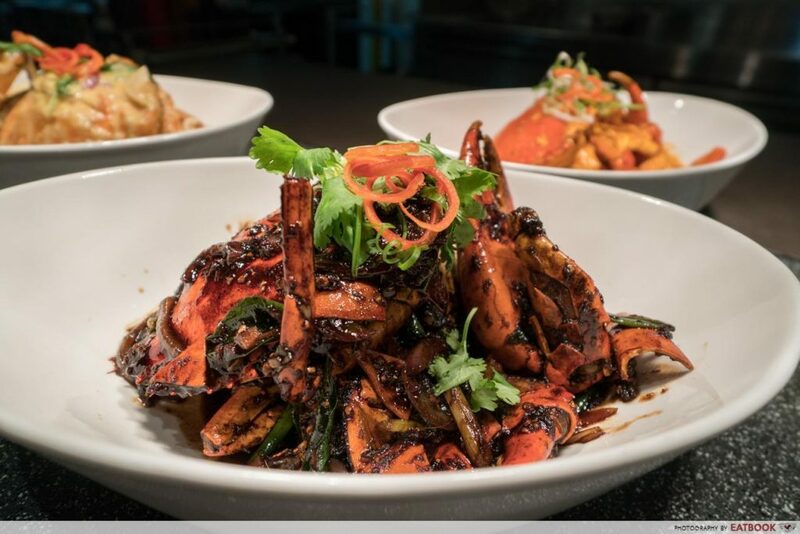 Sessions’ crab dishes feature Red Chilli Crab (S$58++), Black Pepper Crab (S$58++), and Butter Crab (S$58++). 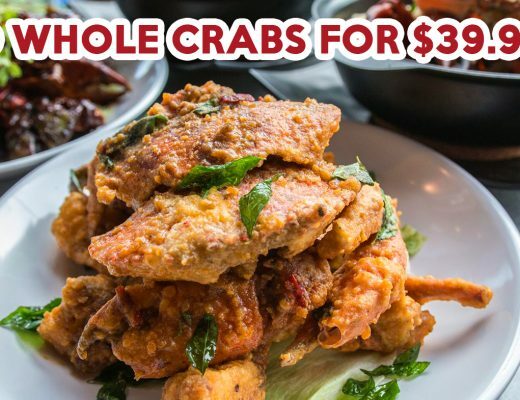 This means, with a Maybank Credit or Debit Card, you can get two crabs for under S$70 including GST and service charge. That’s cheaper than crabs served at most seafood restaurants! Quality is everything at Sessions, and you are ensured 750g of fresh crustaceans boasting succulent meat. My favourite is definitely their butter crab, where the crab is deep fried first, before being stir-fried in an indulgent, creamy gravy. 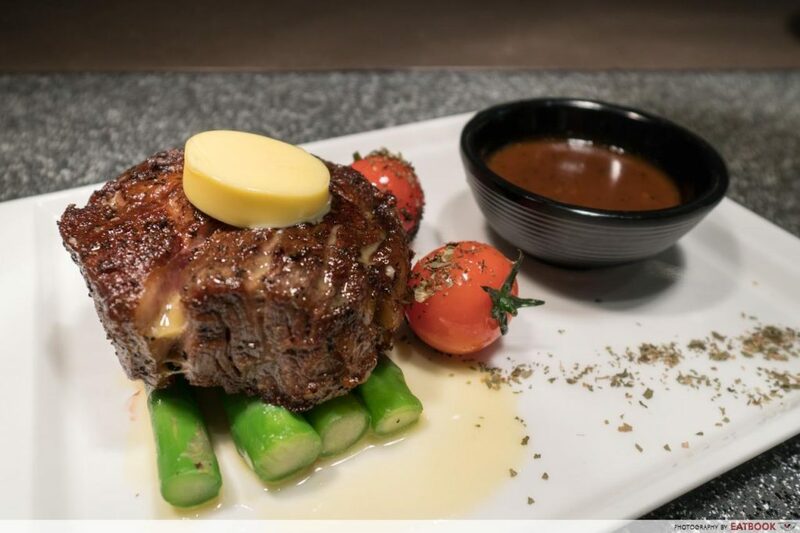 If you’re not a fan of seafood, Sessions also rolls up a mean Rib Eye Steak (S$32++), served with a bed of asparagus and cherry tomatoes. The juicy steak had us swooning with its tender meat and beautiful marbling. You are given a choice of black pepper sauce or mushroom sauce, both of which are certain to elevate the flavour of the scrumptious slab of beefy goodness. 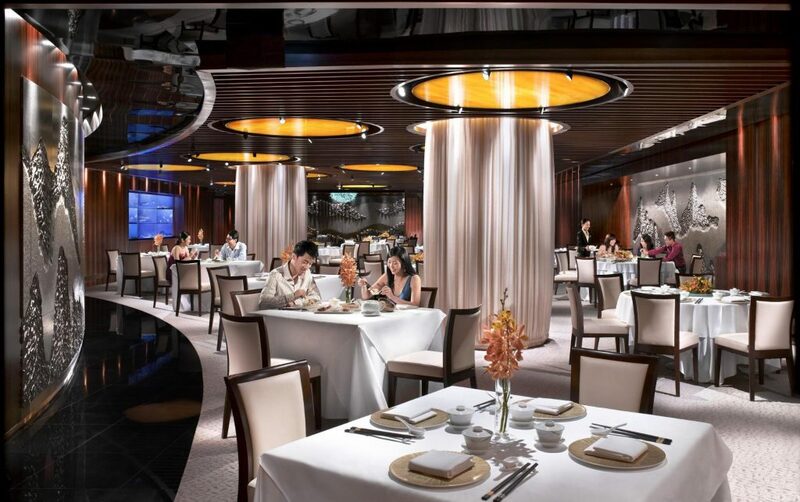 Fine dining is taken to new heights at this premium Cantonese restaurant. The restaurant offers sumptuous Cantonese dishes including dim sum. Ideal for business meetings as well as lavish family dinners are their sophisticated private rooms. Bring the fambam to Feng Shui Inn for a feast. The most value-for-money item to order is, hands down, their Baked “Kampong” Chicken with Chinese Wine (S$30++ for half a chicken). 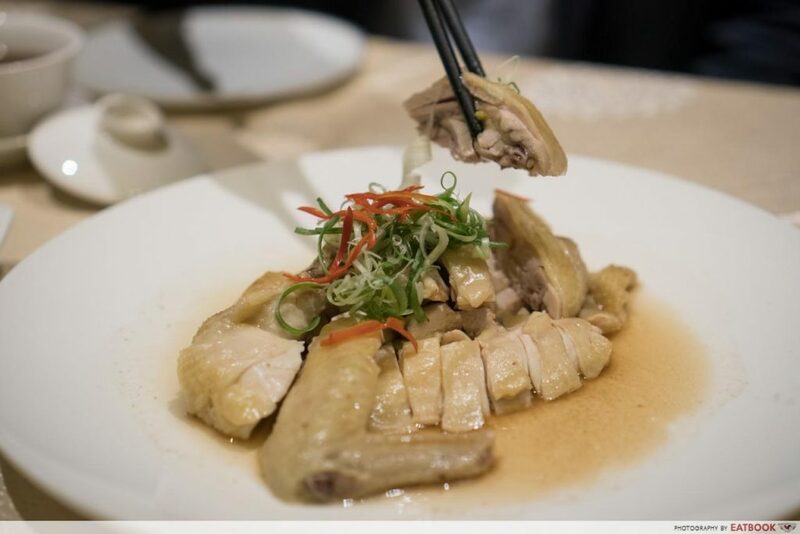 The moist, drunken chicken was mildly flavoured with Shaoxing wine and goes well with white rice. Alternatively, if you’d rather have some variety when you dine at Feng Shui Inn, their Handmade Bean Curd Steamed with Minced Pork and Dried Preserved Vegetables (S$24++) makes a great pick too. 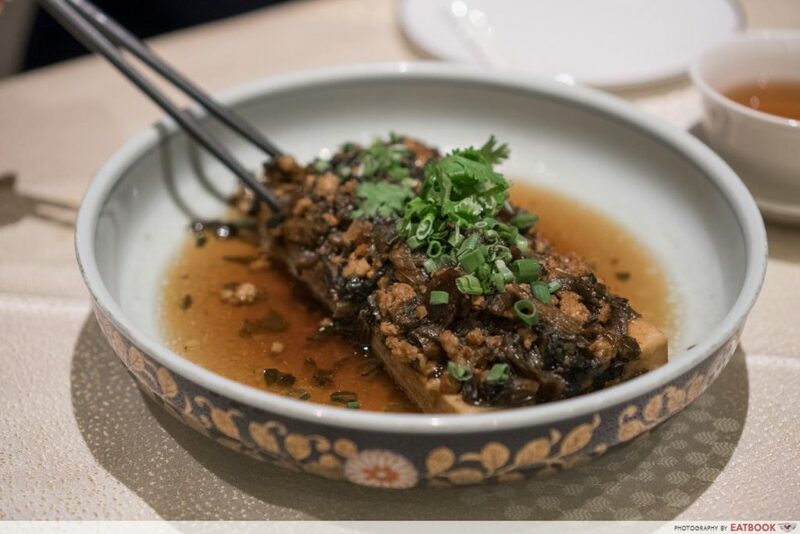 Presented in a pretty porcelain bowl, the two huge pieces of silky tofu featuring a nice, golden skin is set on an ambrosial sauce. The addition of minced pork and chye poh enlivens the dish further in both taste and texture. Salted egg yolk dishes are quintessential at my family dinners. And as a massive lover of salted egg yolk, I couldn’t resist ordering Feng Shui Inn’s Stir-fried Prawns with Salted Egg Yolk (S$34++). Here, crunchy fresh prawns, served peeled, were smothered in the appetising sauce that was rich but not cloying. It was a tasty marriage of sweet, buttery and salty nuances, and my colleagues and I wiped the plate clean within seconds. 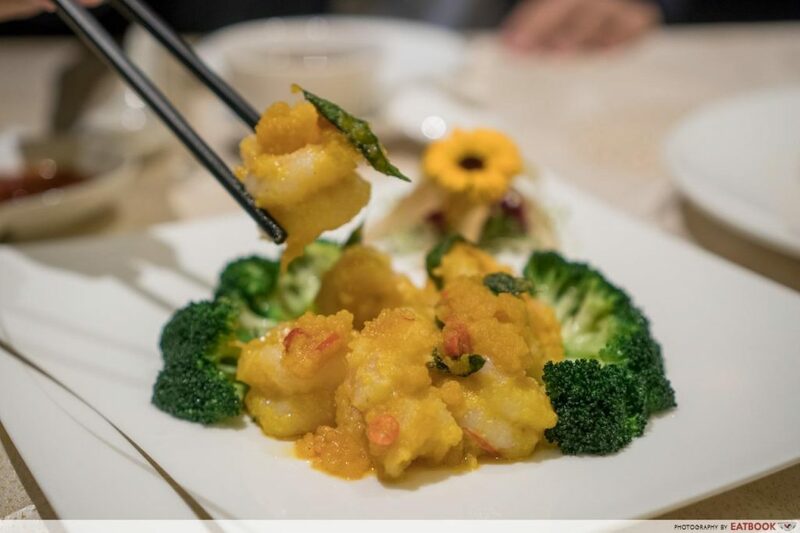 Forest森, which is helmed by celebrity chef Sam Leong, serves up innovative Chinese cuisine. 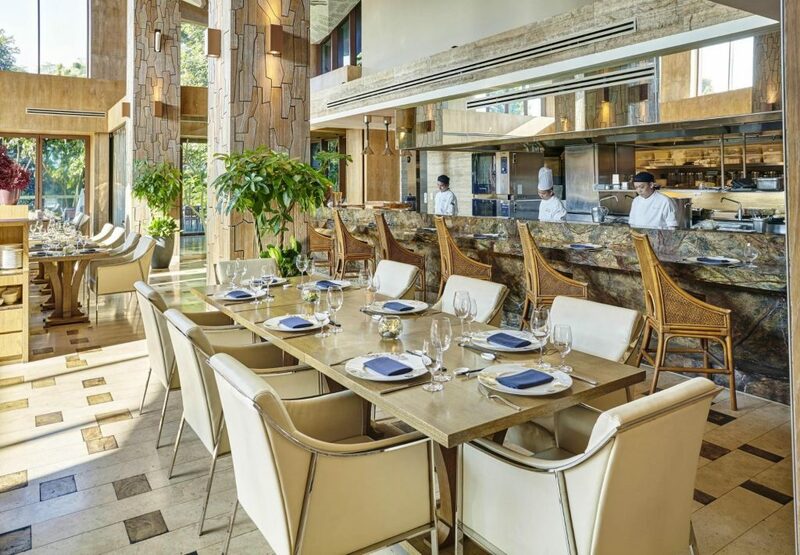 Situated within the serene Equarius Hotel, the lofty, rainforest-themed restaurant is decked up in neutral undertones, plush seating, and fancy tableware. If weather permits, I recommend snagging a seat at one of their al fresco tables at their garden to soak up the resort-like vibes. Kagoshima Wagyu Striploin (S$82++) from Forest森 is a luxurious treat for many of us, and Maybank’s 1-for-1 deal makes it easier on your pockets. Charcoal-grilled, the beef was nicely charred and delivered an intense robust tang. 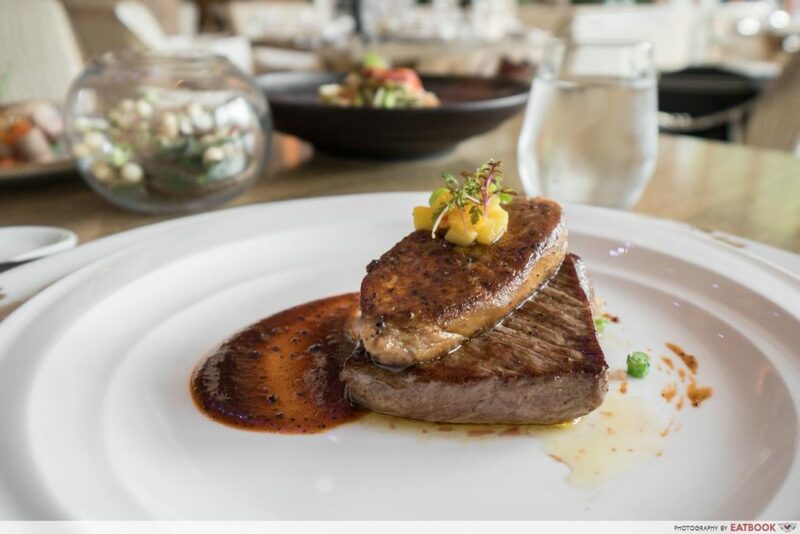 The dish is made even more decadent thanks to the slab of luscious foie gras, with its rich and distinctive taste. Accompanying the delectable cut of beef is a serving of sauteed assorted mushrooms. Charcoal-grilled and marinated with shallot, garlic and ginger, the Primrose Pork Belly (S$30++) impressed us with its extremely juicy and flavoursome meat. Served with a drizzle of hoisin sauce, the sweet and salty nuances of the condiment complemented the slight smokiness of the meat. The bed of asparagus gave a crunchy textural contrast to the buttery, melt-in-your-mouth meat, thus boosting the flavour of this scrumptious dish. This Boston Lobster Ee-fu Noodles (S$42++) is a dish fit for royalty. Crowned with a deshelled lobster claw, the scrummy braised noodles delivered an umami punch with every bite, and was incomparable to any ee-fu mee I’ve ever had. 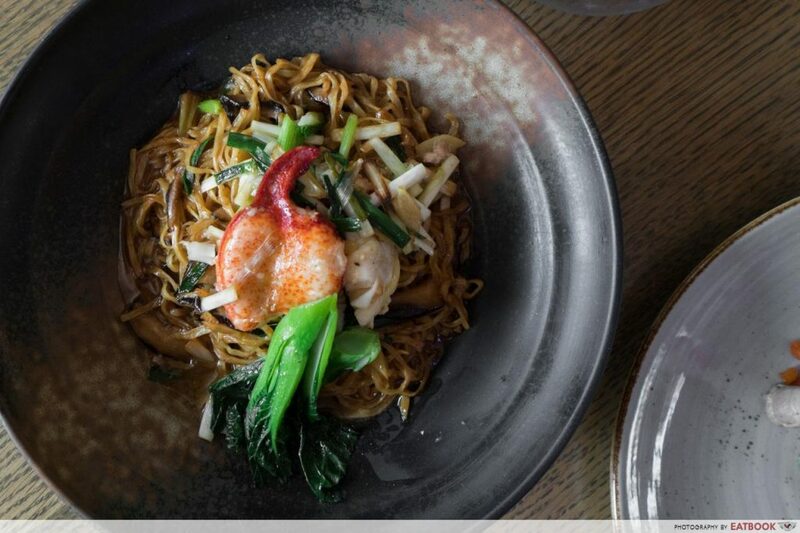 Aside from lobster, the noodles also come together with shredded shitake mushroom and chives. I highly recommend ordering this with one of the hearty meat dishes above for a well-balanced meal. 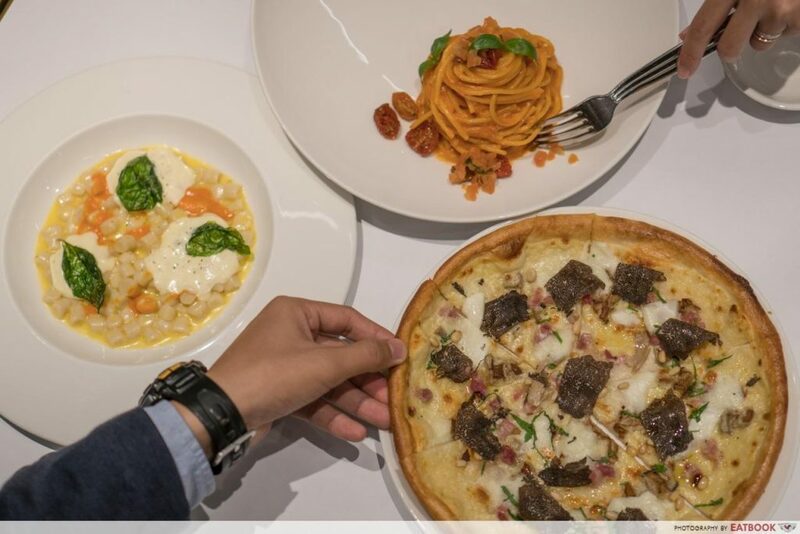 Maybank Cardmembers are spoilt for choice when they dine at Resorts World Sentosa with these premium 1-for-1 dining deals. Valid from now until 31 March 2018, one redemption is limited to every two diners, with a maximum of three redemptions per table. Do note that blackout dates apply from 15 February to 2 March 2018 for Feng Shui Inn and Forest森, as well as eve of public holidays and public holidays for all restaurants. Find out more about Maybank’s dining deals! Terms and Conditions apply. Visit maybank.sg/dine for full details. This post is brought to you by Maybank Singapore.